On April 10th, 1912, Titanic departed the docks of Southampton with 2,228 passengers and crew on board. 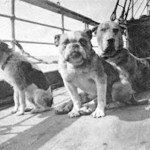 While the names of many of the dead and a few survivors have become synonymous with the great ship, few know Titanic’s passenger list included twelve dogs that accompanied their owners on board for the journey to America. From toys to giants, there were a variety of breeds present on the ship. While many of these animals would face the same life-and-death struggle as their owners during the sinking, their story has been largely forgotten in the face of how many human lives were lost on April 14th, when Titanic struck an iceberg and sank in less than three hours. However, many of the pets’ stories of loss and survival during that fateful night are as poignant and fascinating as those of the humans who experienced the sinking. 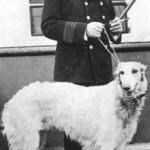 All twelve dogs that boarded Titanic were owned by first-class passengers, some of them among the wealthiest on board. One dog, an Airedale named Kitty, was the beloved pet of American millionaires John Jacob Astor IV and his wife, Madeline. 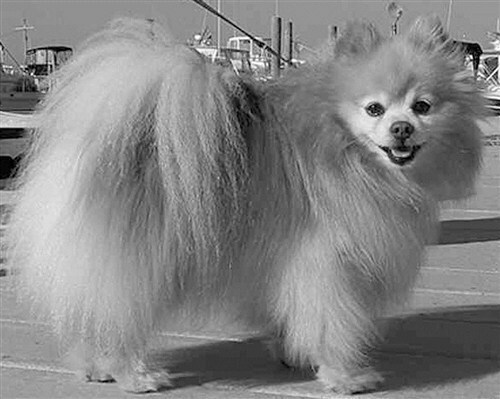 Other dogs on board had fine pedigrees as well; many were purebreds, including a Pekingese owned by Myna Harper, wife of the heir to the Harper and Row publishing fortune, and a Pomeranian named Lady, purchased by passenger Margaret Hayes when the ship called at Cherbourg, France. A French Bulldog, a King Charles Cavalier Spaniel, and the gentle giant of the dog world, a Great Dane, were also counted among the canine passengers. Before the sinking, the dogs enjoyed life on Titanic with all the perks of their privileged human passengers. 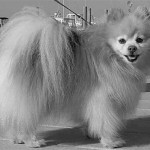 The smaller breeds shared the luxurious first-class quarters with their owners for much of the journey, while the larger were treated to fine kennels on F Deck. The dogs were exercised once a day on the poop deck by the ship’s bellboys, although the ship’s carpenter, John Hutchison, cared for them the rest of the time. The pampered pooches enjoyed the sea air and daily walks, as well as a bit of hobnobbing with their shipmates. Just as with its human passengers, there are many myths and legends that surround Titanic’s canine passengers. Among the most famous concerns the ship’s first officer, Roger Murdoch, who supposedly owned a large black Newfoundland named Rigel. During the sinking, Rigel supposedly went into the icy waters of the North Atlantic and swam alongside a lifeboat to protect those on board, and then later alerted the rescue ship Carpathia to the presence of the stranded passengers. 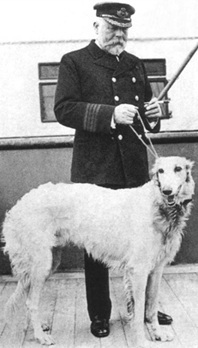 Once it was discovered his owner had died on board Titanic, Rigel was allegedly adopted by the Carpathia’s master-at-arms and lived out the rest of his days in Scotland. While this is a wonderful story of survival, as is the tale of Captain Smith’s dog, Ben, trying to save his master after the ship sank, neither is true. Ben did not make the trip across the Atlantic with his master, and it is unclear if Rigel ever existed at all. 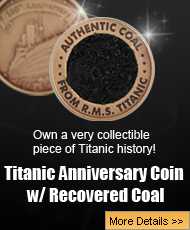 The harrowing tales of death, tragedy, and human survival connected with Titanic are well known to nearly everyone. 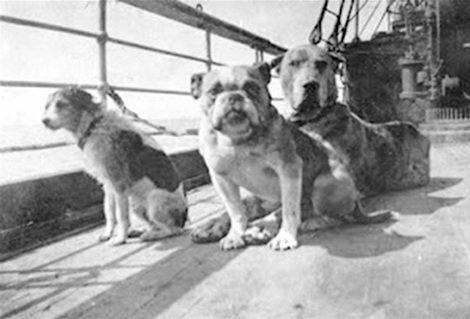 The dogs of Titanic have been largely forgotten by history, however. Luckily, there are a few who still remember and keep their legacy of devotion, bravery and survival alive.